The 30D Records machinery does not stop. 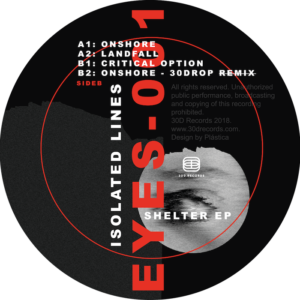 A new stylistic adventure has been concretized in the new label’s series “Eyes Have It”, which will be conducted by the well-known Sonar Festival and 30D’s resident DJ, Angel Molina, as A&R. Artist: Isolated Lines. Remixer: 30drop.